Although she doesn’t address the issue of how motherhood affects the role of the female writer in 1929, in A Room of One’s Own, Virginia Woolf does bring to the forefront of her discussion two elements necessary for women to succeed as writers: money and space. She makes it clear that this money cannot come from anyone to whom they will feel indebted, especially men. The only money that can come to women without the burden of indebtedness is inherited money, since the giver has passed and expects nothing in return for this generous gift. And it is a gift because it provides the female writer with freedom, independence and autonomy, all of which she needs to hold her own and be left free to write. She doesn’t belong to anyone and she isn’t beholden to anyone. 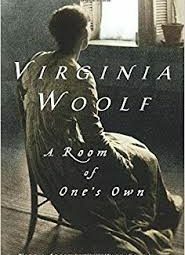 Woolf herself took odd jobs until her late aunt left her an inheritance that freed her from labor and worry over income; this money gave her the feeling of self-possession that is not only necessary for the writer, but also for the woman. It is for this reason that A Room of One’s Own Foundation usually has an annual award/gift of $50,000 to a woman writer in order to help her become independent and establish a writing career. However, this year’s award was not given due to a lack of funding. These funds, which come unencumbered and unattached, are a necessary endowment. Having money that does not make her ingratiate herself for possessing also affords the female writer the second necessity as posited by Woolf. A writer needs her space. Money allows for that. With money a writer can rent out rooms and offices away from home just for writing; a writer can afford to attend conferences or rent a cabin deep in the woods or near a secluded lake in search for inspiration. One cannot have the luxury of doing this without income. Woolf concludes that before a woman can think about the process of writing fiction, she must first be financially independent and have a place to work without distractions, or oppressive expectations. Until she fulfills these two priorities, she cannot think about writing. For example, when Charlotte Brontë sat down to write Jane Eyre, Woolf discovered noticeable breaks that disrupted the thoughts of the main character and the writer. Brontë was probably called to some feminine duty like embroidery, and so her work suffered, or was not the best that she could have achieved since she was a woman and she had no place of her own to work without interference. What Woolf does in this book that is so compelling is that she compares the lot of a female writer to that of a male writer. Male writers, even if they are poor, have a better chance, or at least more opportunities for finding work to support the passion of writing. In discussing Shakespeare and his imaginary sister, Judith, she illustrates that while they both share the same genius for writing powerful poetry and plays, and they both attempt to embark upon the life of a writer, because she is a woman, Judith’s circumstances will afford her different results. When he knocks on the door of the theater, he will be given a job; she, on the other hand, will be molested or harassed; and when the same man who gives William his job sees Judith, he will only make her his mistress, and she will kill herself when her dreams are dead and the only thing she can give birth to is an illegitimate baby. It was easier in those days for men to be writers because they were born free and they were allotted space without having to ask for it. Not so for women. Virginia Woolf realized this because she had been poor, and because she also discovered what it felt like to be a woman and a writer, and financially independent at that. In reading Paula McLain’s The Paris Wife, the similarities between what Virginia Woolf discussed in 1929 and how McLain portrays the personal life of Ernest Hemingway are inexhaustible. Told through the point of view of Hadley Richardson, his first wife, we come to know Hemingway before he was a great and renowned writer—when he was a struggling writer. Just as Woolf points out, Hemingway had great freedom. He took low paying jobs in journalism, traveled—leaving his wife home to tend to the home, while he rented a room across town where he could work. And when their baby came along, although Hemingway feared that the presence of a child would impede his freedom, it didn’t. It didn’t because Hadley took care of the baby… at least when the nanny wasn’t. Babies weren’t his job—writing was.